Cheyenne pipe tobacco is smooth, rich and reasonably priced . Buy a bag - at low Famous prices, it might be your new favorite! Cheyenne pipe tobacco is proof that a blend doesn't have to overpower your pipe. An American blend that delivers smooth, rich tobacco notes side by side with crisp, icy–fresh menthol flavor. 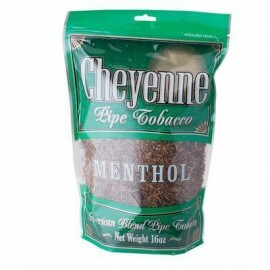 Minty and aromatic, Cheyenne Menthol is as affordable as it is easy–smoking. 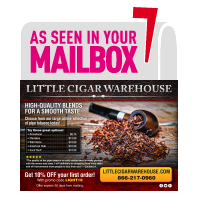 From the makers of the most popular filtered cigars on the market, comes a new line of Pipe Tobacco. 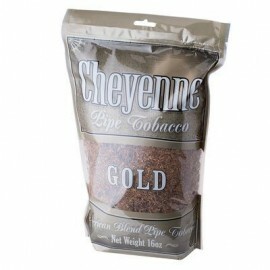 Cheyenne Pipe Tobacco offers an incredibly smooth and rich flavor while maintain a reasonable price. Cheyenne cigars know exactly what you want; flavorful cigars to enjoy your spare time at a price that will never interfere with your budget. They’re great, they’re affordable, and allow you to enjoy a 5 minute smoke break or a full evening of pure ecstasy. In other words, they’ve found what the customer wants, and keeps on giving it to them. Each cigar utilizes high end tobacco leaves that are then cured, fermented, and shredded to make additive free filtered machine made cigars for extra smoothness without interfering with any aspect of the flavor. Along with the Cheyenne Full Flavor and Classic, other palate pleasing alternatives are packed and ready to ship to your doorstep such as Xotic Berry, Vanilla, Wild Cherry, and Sweet Tip for those who enjoy a little extra enjoyment. With all these options available, you can stick to the flavor you found works best for your needs, or mix and match all night to experience a tornado of sweet treats. No matter what you pick from Cheyenne Cigars, one thing is for sure; you’ll never be disappointed by the flavor pouring out from each offering. our massive warehouse, you can get your hands on these delectably smooth stogies for pennies on the dollar. 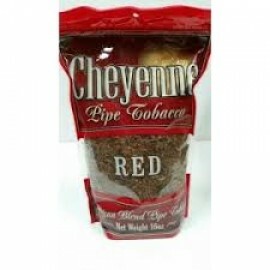 Cheyenne Pipe Tobacco is available in 16-ounce bags, in Red, Gold and Menthol varieties. The company provides point of sale materials to help effectively merchandise the line. Cheyenne also offers a line of cigarettes and roll-your-own cigarette tobacco.